Connecting with the Common Data Set (CDS) for a particular college or university will provide you with a wealth of information to kick-start your college search. And, the information found on these pages may be more current and complete than what’s posted on college search websites or that contained in college guides. Check this out: the 2017 College Board College Handbook was printed in June, 2016 and is based on data provided to the CDS for 2015-16. The 2018 edition with 2016-17 data won’t come out for months. But many colleges have already posted their 2016-17 CDS survey responses, with more up-to-date information. So why not get a jump on the 2018 handbook and go directly to “source documents” found on institutional research pages? In your research, you’ll find that not every website or guide uses all the information available through the Common Data Set. Not all will provide details on wait lists or transfers. But once you get familiar with CDS questions and format, you’ll discover these details are usually there and very accessible. In addition, you can research trends by looking at CDS data over a series of years. That’s a plus when looking at retention or graduation rates, where you always want to see improvement. The College of William and Mary is extraordinarily helpful in this way, posting full Common Data Sets from as far back as 1997-98. Keep in mind that the CDS is a voluntary project in which colleges “self-report” information with little or no centralized technical support or oversight. In other words, the data can be inaccurate or slanted in ways that favor the institution. Note that you can always cross reference the CDS with College Navigator. But even then, the data is only as good as that which colleges may be willing or able to provide, and it sometimes lags the most recent CDS posting. Enrollment. Questions B1 and B2 provide the size of the institution as well as provide you with a breakdown of what the campus community looks like in terms of race and ethnicity. Graduation Rates. Questions B4 through B11 address “persistence” or what percent of students graduated within a specified time frame. You can easily compute 4-year graduation rates by dividing B7 (completions within four years) by B6 (the total class size). For example, the University of Virginia graduated 87.8 percent of the class beginning in 2010, within four years. Question B11 simply states the 6-year graduation rate of 94.1percent. Freshman Retention. Question B22 provides the freshman retention rate based on the date an institution calculates its “official” enrollment—a number subject to some manipulation depending on who is counting and on what day. Admissions. Using the answers to C1, you can get male/female as well as overall admit rates (selectivity) by dividing the number of admitted students by the number of applicants. This can extremely interesting when trying to determine the level of admissions difficulty for men vs. women or your basic odds of getting in. For example, in the fall of 2016, the College of William & Mary admitted 43 percent of its male applicants but only 32 percent of the females who applied. Yield. Once again using the responses to C1, yield may be computed by dividing the total number of enrolled students by the number admitted. Because of the sensitivity and importance of this number in college rankings, the definitions of “admitted” and “enrolled” can be different at different institutions. Wait list. The answers to C2 speak to the use of the wait list and the likelihood of admission from the wait list. In the spring of 2016, Dartmouth College offered 2064 students places on the wait list for a class eventually totaling 1121. Of those, 1194 accepted spots on the list. From that group, 16 were admitted. GPA. C12 provides the average high school GPA of enrolled freshmen. Because it’s hard to know if the number is weighted, unweighted or recomputed, the GPA response is left out of many college guides. It’s also a question that’s frequently left blank by colleges. Early Decision Advantage. Question C21 covers early decision and early action plans. This is where you can discover how much of an advantage it might be to apply to an institution early decision. For example, for fall 2016, the College of William and Mary received 1003 early decision applications and admitted 519 or 52 percent. Going back to question C1, a quick computation shows the overall admit rate to be much lower—37 percent. At Dartmouth, 26 percent of the early decision candidates were admitted according to Question C21, while only 11 percent were admitted overall. Transfers. D2 indicates how many transfer applications were received, how many students were admitted, and how many eventually enrolled. Other basic information on the transfer process includes the terms during which transfers may enroll (D3), minimum credit units required for transfer (D4), the need for an interview (D5), and a minimum college grade point average a college wishes to see for a transfer (D7). Residency. Under the “Student Life” section (F1), you can see the percent (and number) of out-of-state students (excluding international students) enrolled. 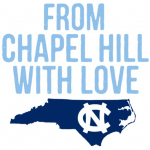 The University of North Carolina at Chapel Hill enrolled 16 percent out-of-state students in fall 2016, while the College of William and Mary enrolled 34 percent. Annual Expenses. Questions G0 through G6 lay out undergraduate tuition, fees and room and board. More current data for the coming year would probably be found on an individual school website and if you’re interested, G0 gives a direct link to an institution’s net price calculator. Percent of Need. Question H2i provides the percent of need a college claims was met for students awarded any need-based aid. For the 2016-17 reporting period, Temple University met 69 percent of need for incoming full time freshmen. Towson University met 54.8 percent and Bucknell University met 91 percent of need, while Stanford University and UVa claimed to meet 100 percent of need (keep in mind the “need” is a pretty subjective term). Faculty and Class Size. Questions I1 through I3 cover the range of territory relating to student-to-faculty ratio and average undergraduate class size. This is a complicated area full of definitional issues, but since colleges make a point of bragging about how small their classes are, you may want to take a look. If this kind of analysis gives you a headache, feel free to use comprehensive college search websites and guide books that aggregate and re-work the data into more user-friendly formats. But if you can’t wait until mid-summer and like the idea of going directly to the source, visit the CDS webpages for colleges you are researching. This is the second in a two-part series on the Common Data Set. For sample links to CDS webpages, go back to Part 1. There are so many ways to ace a college admissions interview; however, two parts of the interview are most crucial: the beginning and the end. To get into America’s top colleges, you need to demonstrate interest, which is a fancy way of saying, you need to flirt with colleges. Yet, when is just as important as how. College fairs are a great way to get a taste of the life offered at a number of colleges in a short time without the expense of travel, especially for first-in-their-family students. Here are some tips to get you on your way.